Ben Johnson is an experienced litigator and counselor who practices in the areas of commercial and corporate litigation, labor and employment law, land use and development law, and environmental law. Admitted to practice in South Carolina and North Carolina, Ben has represented companies in a wide range of business and employment matters in the federal and state courts. He represents businesses before the NLRB and advises our firm's clients on labor issues arising in business transactions. Ben also regularly represents companies before local governments on land use entitlements and related development arrangements. 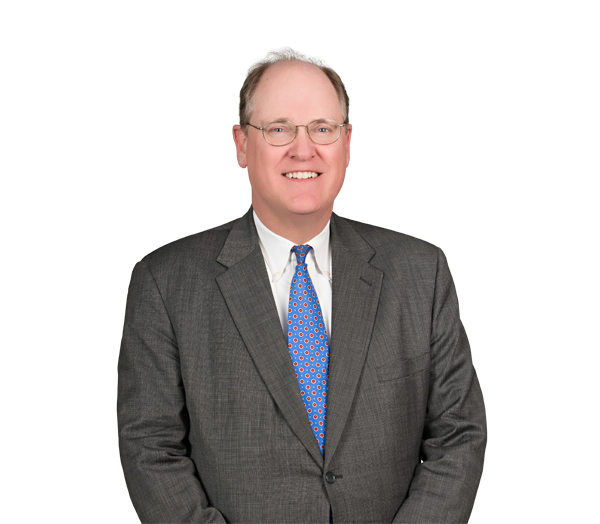 Over the past two years, Ben has represented companies in securities, employment and environmental class actions in federal court in South Carolina. He was part of a team of Robinson Bradshaw lawyers engaged to defend an automobile manufacturer in a class action lawsuit filed in South Carolina by the EEOC challenging the company's use of criminal conviction guidelines. Represented a public company (traded on NASDAQ) lender in securities class action filed in federal court in South Carolina under Section 10b-5 and also defended its directors and officers in related shareholder derivative action. Served as co-counsel for a group of Carolinas telephone companies in a lawsuit filed in federal court in North Carolina against a national wireless carrier over violations of the parties' joint operating agreement. Represented a software company in defense of a business claim asserted in Massachusetts on the eve of its merger with a Fortune 500 company and achieved a favorable result allowing the merger to close as scheduled. Represented a Tier-1 supplier to the automotive industry in an action to enforce pricing and exchange-rate terms in agreement with a Canadian steel supplier, securing emergency injunction in favor of client. Represented Belk Stores in a landmark shareholder dissent and appraisal action under the South Carolina Business Corporations Act. Belk of Spartanburg, SC v. Thompson, 337 S.C. 109, 522 S.E.2d 357 (S.C. App. 1999). Represented an auto manufacturer in a class action lawsuit filed by the EEOC in Greenville, South Carolina, challenging the company's use of criminal conviction guidelines. Represents the firm's business clients before the NLRB in union representation proceedings and in unfair labor practice cases involving union and non-union workforces. Advises the firm's business clients in labor law issues arising from mergers, acquisitions and other business transactions. Represents companies in federal and state courts in matters alleging employment discrimination, wrongful discharge, non-competition covenants and protection of confidential information; counsels businesses in the avoidance and resolution of these claims. Represented the Carolina Panthers in labor issues arising from an NFL player lockout. Represents the firm's developer clients and owners in land use proceedings involving rezoning, development agreements, site plan approvals, utilities and other entitlement matters. Represents national, regional and local homebuilders in legal and policy matters related to local land use regulation. Represents a hospital system in annexation, land use and development arrangements for a new medical facility in Fort Mill, South Carolina. Represents a manufacturing client in development matters for the relocation of the company’s North American headquarters and plant expansion in Fort Mill, South Carolina. Represented a regional developer on zoning matters and development arrangements for a 396-acre site to accommodate the development of a residential community containing up to 800 homes in Lake Wylie, South Carolina. Represented a regional developer on the development arrangements for a 550-acre site to accommodate the development of a multi-use project located in Fort Mill, South Carolina. Represents companies in securing economic development tax incentives in South Carolina. In 2016, represented a Fortune 500 company in a class action filed in federal court in Spartanburg, South Carolina, alleging contamination of groundwater under RCRA and state common law. Represents non-road equipment manufacturers in EPA compliance matters. Represented a leading North American metal recycling company in response to a local community's concerns and implemented a favorable resolution among all stakeholders. Served as chair of the Atlantic Interstate Low-Level Radioactive Waste Compact Commission, as an appointee of South Carolina’s governors, with a sited nuclear waste disposal facility; oversaw legislation, regulatory proceedings and litigation.